She lived in the age of man in a man’s world. In an ancient world of brutal conflicts, ferocious animal passions, suppressive timeless customs, and reckless, heroic exploits, she must resolutely carve out a part for her life in the face of scandalized tradition and antagonistic male dominance. To grasp her destiny, she must prove herself not just as able, but infinitely more capable than any man alive. Horse-sweat soaked battlegrounds, Majestic medieval palaces of mud and stone. 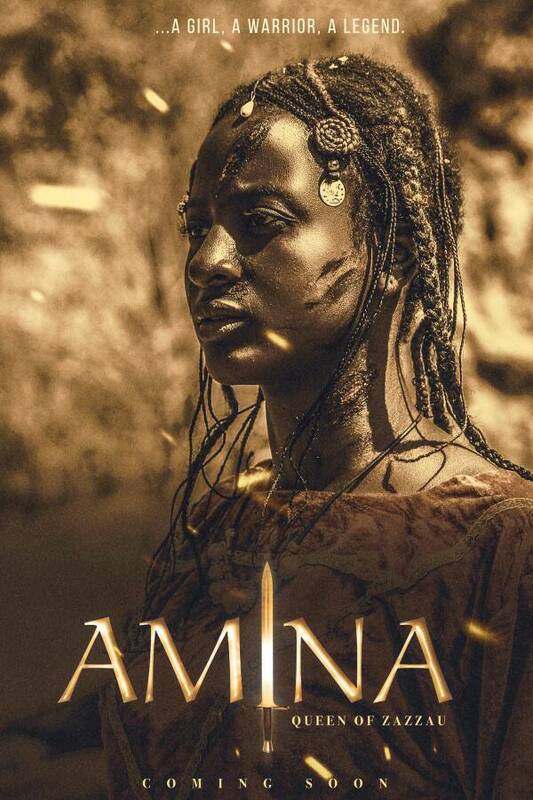 Dusty hovels of the desperately poor, the spectacular grandeur of imperial Dubars, And the tense intrigues of age-old royal courts: Sub-Saharan Africa explodes into life, power, and sound in ”AMINA”, the thrilling epic movie about the most charismatic warrior, sovereign and queen in the history of Africa. Fathered by the legendary warrior, expansionist, and empire builder, Barkwa Turunku, Aminatu, alluring princess and first daughter to the renowned Barkwa nurses a burning ambition never before imagined: To sit as queen over a Zazzau empire that stretches from Kano to River Niger, from Idah to Jukunland. In an age of female subjugation and an oppressive, sponsored traditional system, no sane woman would dare conceive such dreams; and only the most foolishly reckless would move on to attempt actualization. 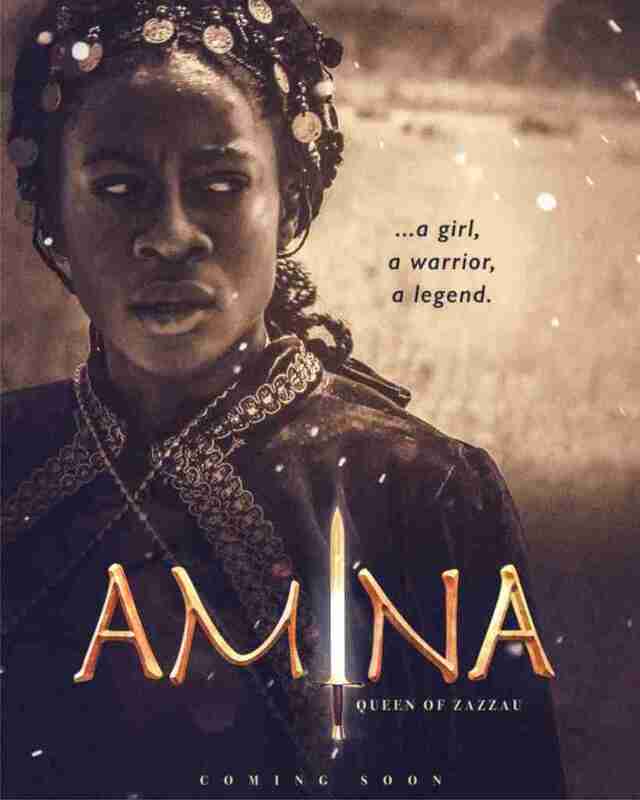 From warrior- princess to supreme military commander; from sorrowful lover to crafty politician; Amina must suppress natural filial emotions in order to accomplish the impossible, attain the unattainable and ultimately convince the skeptical empire of her ability to make true Zazzau’s long cherished dreams of dominance over all of the Sub-Sahara. Pitted without, against panicked kings and Sarkis of neighboring vassal states, and within; Zazzau’s ambitious war generals, princes, politicians, and the sinister all powerful Madawaki or minister of war whose hunger for the throne of Zazzau is equaled only by his lust for its lovely occupant; Amina must play statesman and military strategist, patriot and queen, ruthless executioner and gentle mother to Zazzau’s oppressed millions to achieve her goal of creating a better Zazzau, a more humane, civilized Zazzau standing on the foundations of modern-day governmental structures. The movie ”AMINA” expertly chronicles the legendary many lives of this exceptional woman; the pain and the agony caused by the betrayal of cherished lovers; the ferocious savagery in the face of all battles and enemies; the cunning manipulation at will of the nobles and sovereigns of kingdoms; and the tender concern over the down trodden Talakawas or common people. A fascinating tale, a gripping narrative, guaranteed to stir in every man and woman a longing to arise, spear in hand in the interest of justice to face the deadly foe – as the savage drums of war throb on. . .
LOGLINE: 500 years ago, a young lady nurses a never-before-seen ambition of sitting as a Sovereign Queen over a Zazzau empire that stretches over the seven kingdoms of Northern Nigeria: in an age of female subjugation and oppressive male sponsored timeless traditional system, no sane woman would dare conceive such dreams; and only the most foolishly reckless would move on to attempt its actualization. TAGLINE: A Girl. Warrior. Legend.